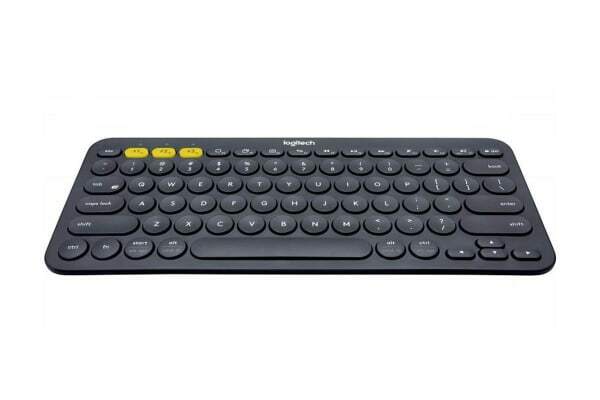 K380 Multi-Device is a wireless keyboard that connects to all Bluetooth® wireless devices that support external keyboards. Take this compact, lightweight, Bluetooth keyboard anywhere in your home. Type wherever you like, on any compatible computer, phone or tablet. Connect up to three devices simultaneously, for example a Windows computer, an iPhone and an Android tablet. Simply touch a button to start typing on a different device. K380 Multi-Device recognizes each device and automatically maps keys to give you a familiar layout with your favorite shortcuts. By detecting your specific device—for example, an Apple or Windows computer—this universal keyboard will send the correct key codes.